Many devices use alkaline batteries for electrical power. Some devices use standard 9V batteries. However, other devices require a 9V DC power source, but use a combination of AA, C, or D cells to add up to 9V. 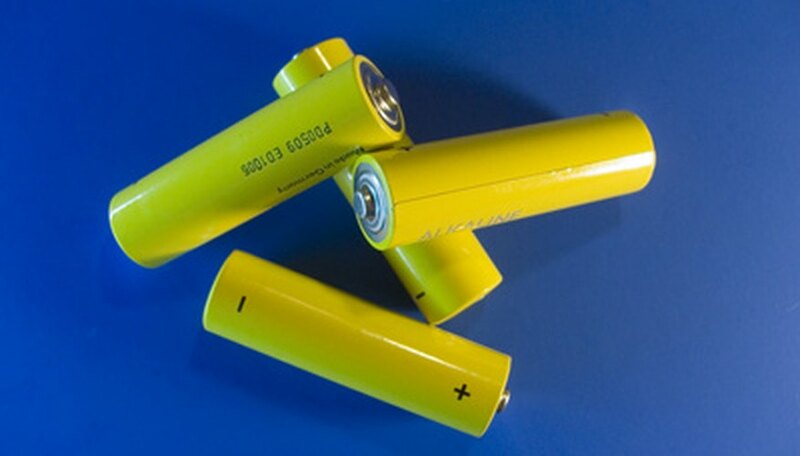 Larger batteries, such as C and D cells, may be preferred for high-current or long-lasting devices, such as boom-boxes or flashlights. Other devices, such as personal radios, may require the batteries to be inserted in as flat a space as possible, thus requiring slim-profile AA or AAA batteries. Using the electrical pliers, twist together the black wire from the first battery holder with the red wire from the second battery holder. Solder the electrical joint, and cover the joint with electrical tape. Twist together the black wire from the second battery holder with the red wire from the third battery holder, and solder the electrical joint. Cover the joint with electrical tape. Slip one of the ring terminals over the red wire from the first battery holder, and solder the terminal to the wire. Slip the remaining ring terminal over the black wire from the third battery holder, and solder the wire. Insert the batteries into the battery holders. The voltage differential between the battery terminals will be 9V if alkaline, nickel-metal-hydride, or zinc-carbon batteries are used. If nickel-cadmium rechargeable batteries are used, the voltage differential will only be 8.4 Volts. Sandoval, David. "How to Build You Own Battery Pack AA 9 Volt." Sciencing, https://sciencing.com/build-pack-aa-9-volt-6030945.html. 24 April 2017.